One thing is for certain, when it comes to cakes Publix can’t be beat. Since 1957, our Publix bakeries have made our cakes and buttercream icing with our signature recipe. In our opinion, the cake is the main attraction for any special event and our experienced cake decorators handcraft every cake to your wants and party needs. With many customizable options, such as fillings, icings and cake flavors, you are sure to find exactly what you need in our bakery. If you aren’t convinced already, check out all the reasons why you should choose Publix to make your next cake! Set the theme for your next party with our customizable cake options. Starting with cake flavors, choose from: chocolate, vanilla, marble, strawberry, Superfetti, Black Forest, German chocolate, carrot and red velvet. Looking for extra flavor? Try adding a delicious filling such cannoli cream, fresh strawberry, vanilla custard, chocolate pudding, raspberry and many more. Then it’s time to choose our favorite part – the icing. Our most popular icing is our creamy and fluffy buttercream. It’s prepared in our stores using our Publix exclusive recipe and includes real butter and sugar. Other options to choose from include fudge, cream cheese, vanilla or chocolate whipped cream. We have more than 100 designs available for you to choose from. Pick any theme, such as baby shower, graduation, birthday or any other celebration. Explore our options and get started by creating your next delicious masterpiece. These can be ordered online or in store. When building your design speak with our cake decorators who are available to help you focus on the details to create the highest quality product that will help fit the theme of your event. 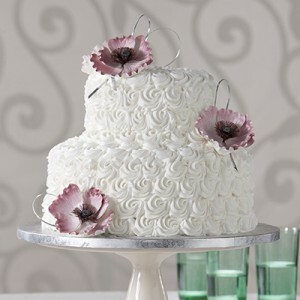 When it comes to your special occasion cake, we hope you know there is no better option than to choose us! Share your cake photos with us on Facebook, Twitter and Instagram.